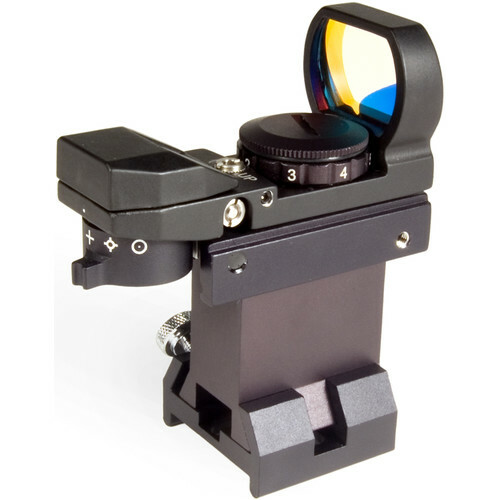 The unmagnified Ra FDS-41 Red Dot Finder allows you to more easily find alignment stars or perform star-hopping navigation. It features red LED lighting to preserve night-adjusted vision, with a rheostat to adjust the brightness so the reticle is never too bright. There are four selectable reticle options to tailor the appearance to your preference or need. This model is ideal for use on refractors, reflectors, and Dobsonian telescopes, and comes with an aluminum dovetail mount and bracket for installation on your OTA.